Water damage occurs when excess water begins to pool in areas where it shouldn’t. This issue may arise due to bursting or leaking pipes, faulty or malfunctioning household appliances, or a natural disaster or weather related issue. One appliance that frequently causes water damage in homes is the washing machine. Homeowners leave washing machines unattended to complete other chores throughout the house or even fall asleep until the next morning. DO NOT MAKE THIS MISTAKE! In some instances, washing machines may fail to transition from the “filling stage” and continue to fill with water until the water is shut off. This causes water to overflow from the machine and begin to fill the house. It only takes minutes for water to quickly spread throughout the property, saturating everything in its path. Water may be absorbed into walls, floors, upholstery, and belongings, furniture finishes may bleed, causing permanent staining on carpets, and photographs, books, and other paper goods may swell and warp. If you are unfortunate enough to have to face water damage in your home, don’t do it alone. Contact SERVPRO of Reston/Herndon, your regional flood specialist, at 703-471-6040. One of the newest “items to have” for both summer and winter months is a Fire Pit. Fire pits come in various shapes and materials, brick, metal, concrete and more. Many individuals are even constructing their own fire pits based on pictures that they see, or out of sheer desire and creativity. Fire pits can be propane or wood burning or natural gas. Please note Propane and Natural Gas are NOT the same. While a fire pit may be the new “must-have” item in home and garden, users must remember to implement detailed safety practices for users to maintain. This may include using a poker, log grabber, or shovel when adjusting burning logs or assuring that enough space exists between seats and the pit so that pedestrians may easily walk by. Please remember: do not leave a lit or burning fire pit unattended. Wind may blow fumes and embers into surrounding areas which may create a significant fire hazard. Please also note that embers can remain a fire hazard for days if not adequately dealt with, so double check before leaving the fire pit that there is no residual heat present. There is not a single builder, contractor or home owner that does not hit a frustration level with the dust that dissipates from dry wall work. IT GETS EVERYWHERE! Well I am happy to say that SERVPRO can help the largest of jobs with this issue and will make sure it is a "non-issue" at the smaller jobs where we have our own Rebuild Division do the drywall work. So contractors take note that if your time is getting short and your deadline creeping up on you then call SERVPRO to come out and get that dust out of your way you you can complete your work! We can install additional barriers if you want us to work while you work... no time lost at all. In tight situations we can even double up the work crews so you close your contract on time. Many many times at commercial properties the Maintenance Crew(s) stay busy doing the many jobs necessary to take cake of the Units and Property. Depending on the size of your property and the number of your Units, this can be overwhelming. Particularly if there has been a storm or natural disaster. Don't let your Maintenance Crews burn themselves out trying to keep up with a task SERVPRO can come take off of their shoulders and free their hands for tasks that we don't do. If multiple units are affected, we have a warehouse full of equipment to get the job done. Better to let us help and get it done right than to try and do as much as you can risking a shortage of equipment to complete the drying process of wet and damaged debris sitting in a unit longer than it needs to. Mold can cause health problems and should removed as soon as it is noticed. The method used to remove mold from drywall varies on a number of issues including whether or not the drywall is coated. If it is, then cleaning it with water and a cleansing agent should work. If it is not, then that section of drywall must be removed since it is too porous to clean. SERVPRO Technicians take specialization courses and a Certified to idenify and remove mold. They know when it is necessary to remove the materials and drywall and when cleaning and sanitizing with chemicals is the best method to not only rid your home of mold, but keep it out! SERVPRO gives a warranty with every one of their services and that does include mold remediation. Sometime the Insurance Company not only covers the process but has a warranty tailored to that company in an agreement for using SERVPRO as a Preferred Vendor. Basements and crawl spaces are the most problematic areas for mold and mildew. This usually results in odor and stains. There are measure that you can take to prevent this from happening. By doing so you can actually improve your air quality. * Excessive moisture builds up from every day infiltration and every day activities. WATCH for the moisture and do not let it sit...wipe the area dry. * POOR ventilation can lead to excess moisture. Put a fan in the area to circulate the air and dry the area out. If that does not help you may want to have a professional give an estimate on adding proper ventilation to the area. * Tighter homes trap moisture, so if your home is close to the adjacent house check to make sure the area between the homes is getting air, light and drying out. * Natural air flow pulls the pollutants up into the living areas affecting the whole house. Take the measures to watch and monitor your air quality. Checking the batteries and the status of your smoke detectors regularly is so much more important than the average home owner thinks it is. We know they are checked before you rent or buy a house. We know they are checked when you sell a home. These legal steps have been added for your protection, so get in the habit of taking the extra steps necessary of checking them periodically and log it somewhere. 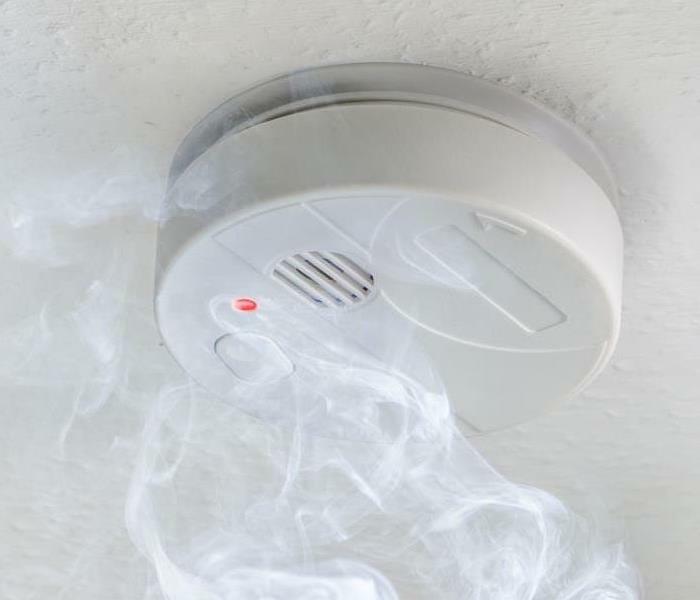 One of the first items mentioned when a residential fire happens if there is an injury or fatality; is that the smoke detectors were or were not operable. Something so simple can save hundreds of dollars in damage and maybe even a life. Some states have now required detectors that have sealed batteries guaranteed active for 10 years, Maryland recently enacted the law. Take the time to check the status of your detector and test it on a regular basis. More than 3,000 electrical fires are caused by extension cords each year, resulting in 50 deaths and 270 injuries. Large appliances cause nearly 20 percent of consumer-product electrocutions annually. U.S. Customs confiscates more than $3 million in consumer electrical products each year, and explains that products with counterfeit certification marks, including CSA, UL and ETL, have not been tested for shock and fire hazards. Sales of electrical products increase during the winter months. 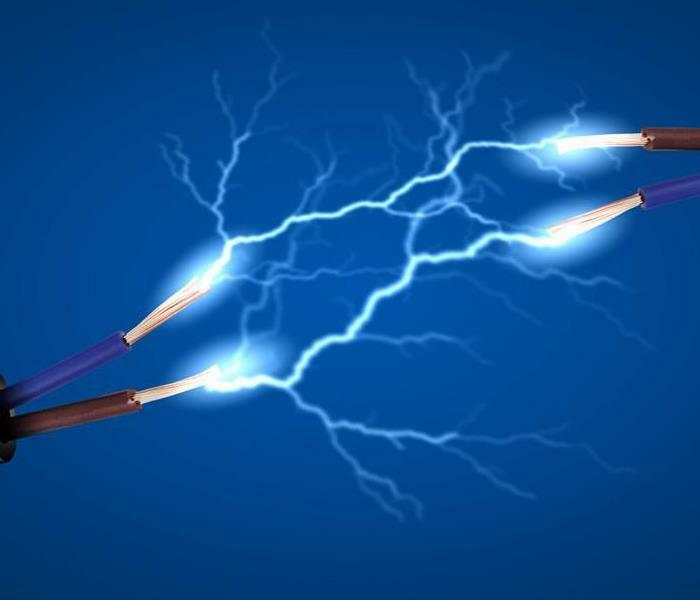 Sales of Counterfeit Electrical products is on the rise, these items have not met the testing and safety standards and can result in injury, death and property damage. Purchase your products from reputable dealers and check for certification marks. Keep all furniture, draperies, and other household objects at least three feet from the in-wall fan heaters and 12 inches from baseboard heaters. Keep portable space heaters at least three feet away from all flammable materials, such as furniture and draperies. ? Plug portable space heaters directly into the outlet; do not use an extension cord. Some portable space heaters, electric in-wall fan heaters and baseboard heaters have been subject to product recalls. Check your brand and model number and visit www.cpsc.gov for possible information about your heater. New research on effects of pruning trees on wind damage was recently conducted. Five trees were pruned by either 1. doing nothing (controls), 2. reducing crown size, 3. raising the crown, or 4. thinning the crown for a total of 20 trees. The same amount of greenery was removed from each tree. All of the trees were blown with winds reaching 120 mph. These results support usage of structural pruning as a preventive method to reduce tree damage. 5/3/2018 - Does Your Home Have A Mold Problem?